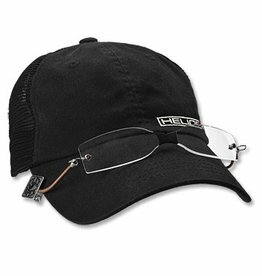 Carson VisorMag Clip-On Magnifying Lenses for Hats are magnifying lenses that clip onto a hat's bill and flip-down for hands-free use. 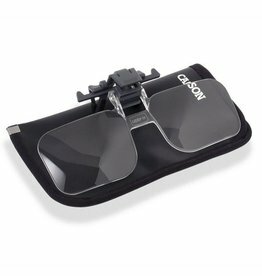 These Visor-Mag Clip-On Magnifying Lenses by Carson are great for special projects that require both hands to be free. Only as far away as your top pocket. Slim Vision Readers are a farsighted angler's best friend. 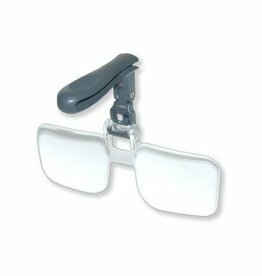 A great inexpensive alternative to prescription reading glasses. 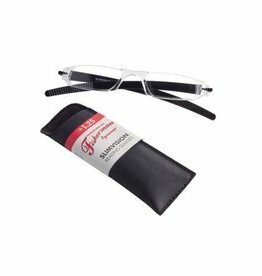 Available in a black or tortoise frame and a range of six diopters.